South Korea's finance minister vowed Thursday to stabilize consumer prices and sternly deal with any possible price collusion in processed goods ahead of a major holiday. 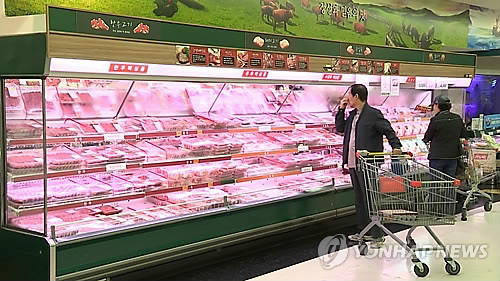 "There are growing concerns over an increase in consumer prices being felt in the markets," Finance Minister Yoo Il-ho said in a meeting with officials in Seoul. "We will concentrate our utmost efforts on stabilizing prices of agricultural products and processed food." His comments came as prices of agricultural products and processed food have recently increased ahead of the Lunar New Year holiday next week, putting burdens on ordinary consumers. Yoo also said South Korea will try to diversify imports of eggs over concerns that egg prices could remain high due to the massive culling of egg-laying hens following the bird flu outbreak. Last week, about 100 tons of US eggs arrived in South Korea as part of government efforts to control the soaring prices of eggs. South Korea has been suffering from a shortage of eggs, as it has been struggling to contain an avian influenza outbreak that has struck poultry farms across the country since mid-November. Yoo said agricultural product prices could be stabilized in coming months due to an increased cultivation area of vegetables that will hit the markets in spring. Still, he said he expects the prices of refinery and processed goods to continue to rise for the time being due to rising raw materials prices.